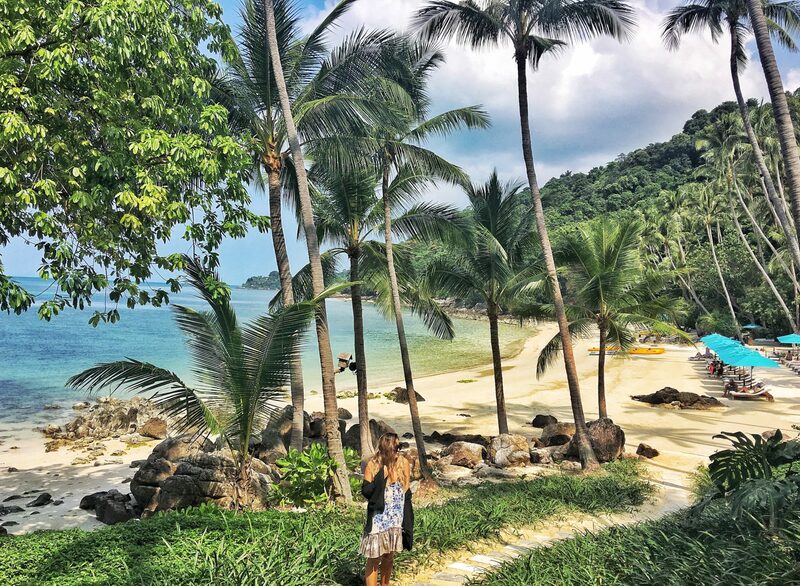 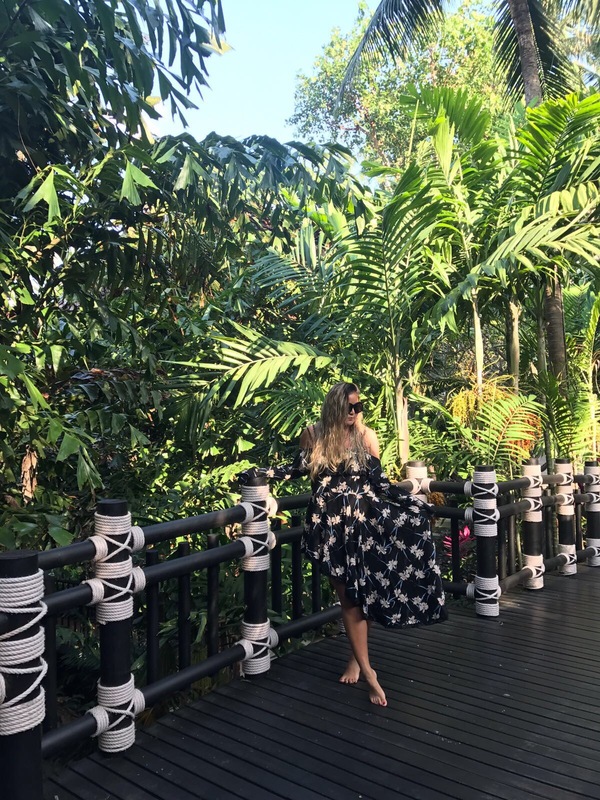 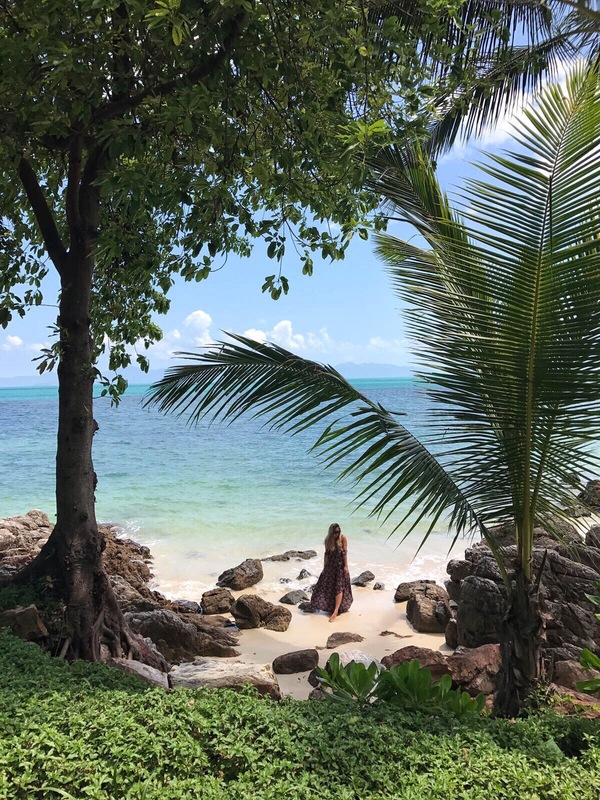 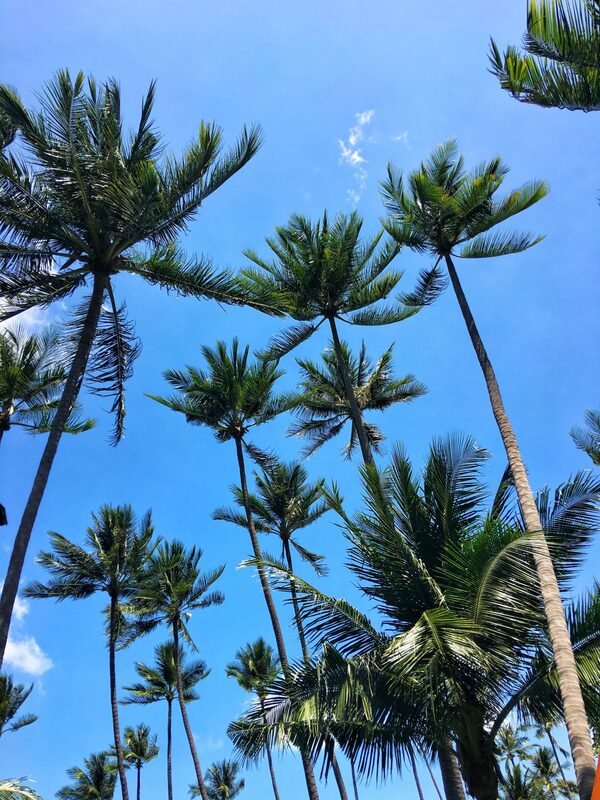 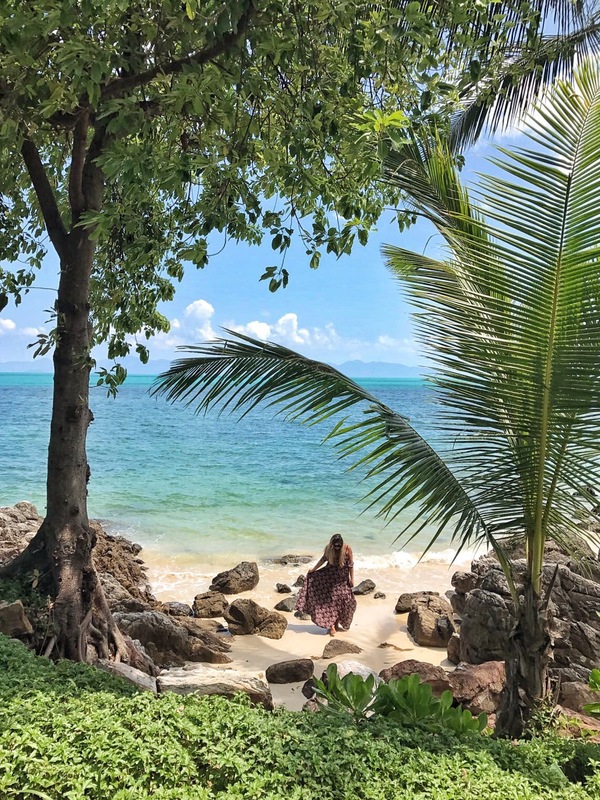 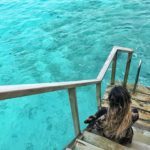 Koh Samui Travel Diary: Four Seasons Koh Samui – Christing C.
Four Seasons Koh Samui will always have a special place in my heart. 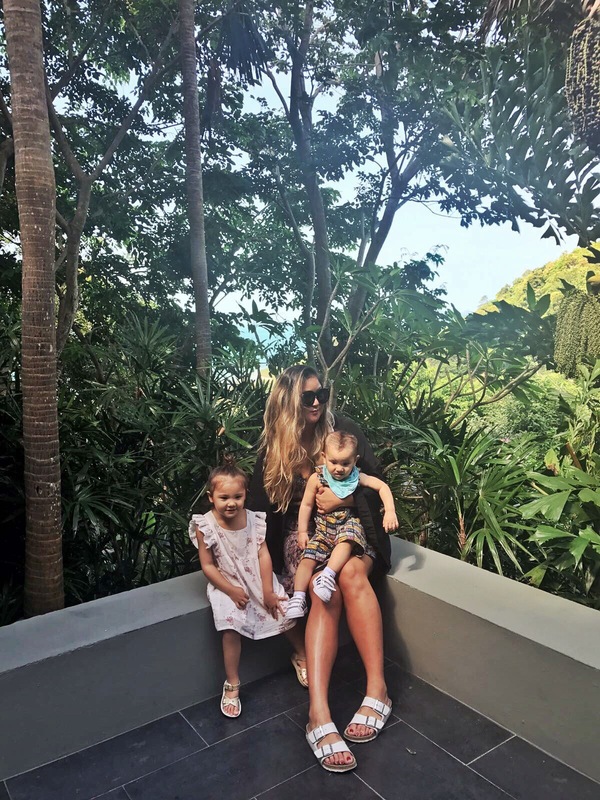 We headed to the beautiful island just as River began walking and Ever started her reign as the sassiest toddler in town. 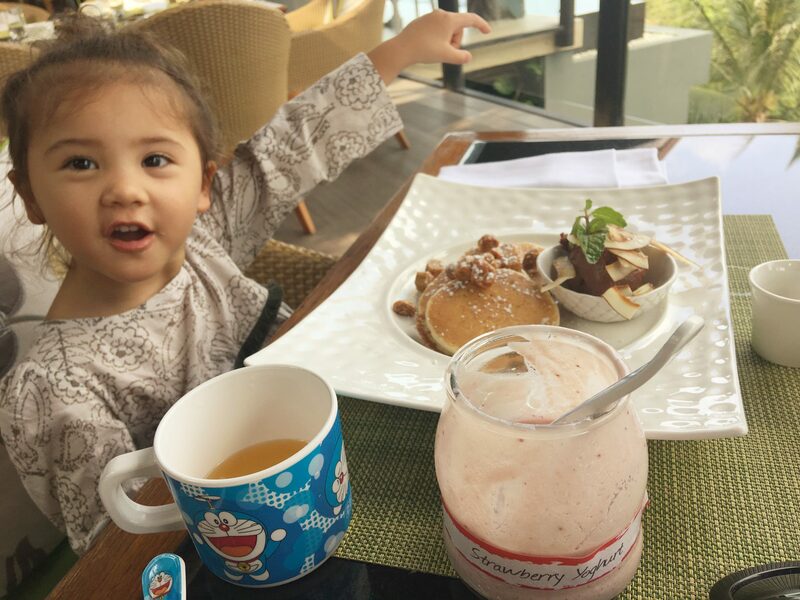 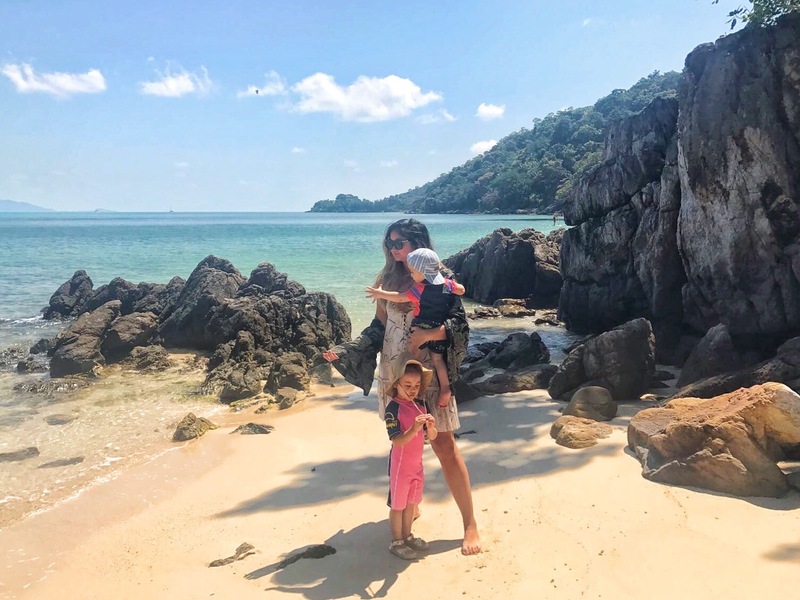 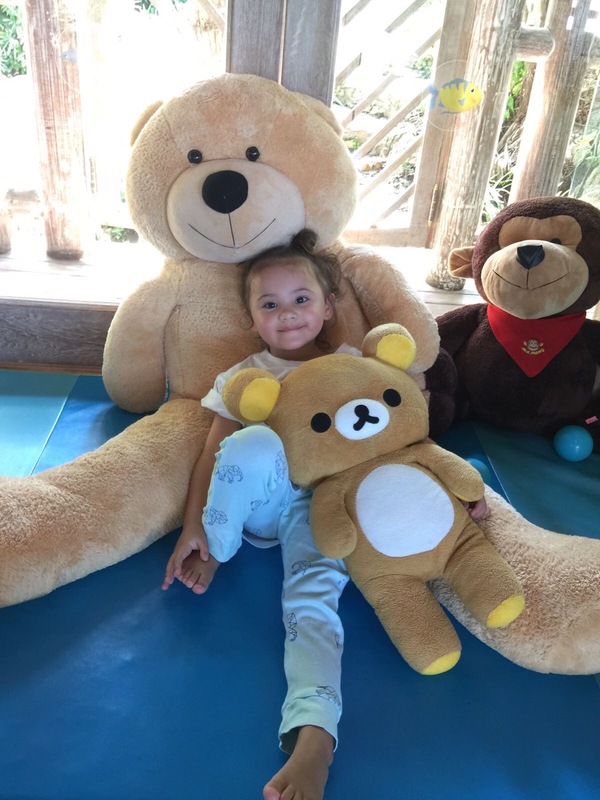 They were both eager to test their independence and Four Seasons Koh Samui offered the ideal, dreamy family vacation perfect for creating unforgettable memories. 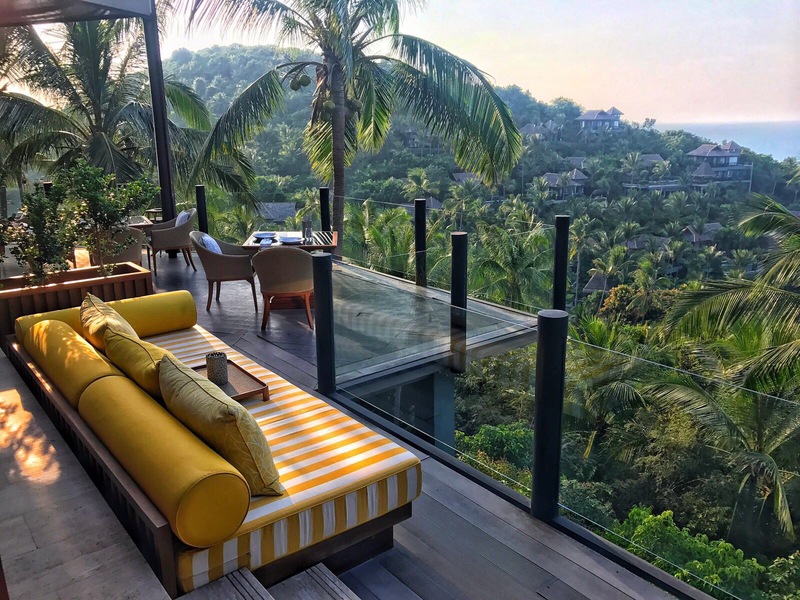 The lush and picturesque resort features sweeping views, a private white sand beach, rustic treehouse kids club, mouthwatering and romantic dining venues, decadent pool villas, and impeccable service. 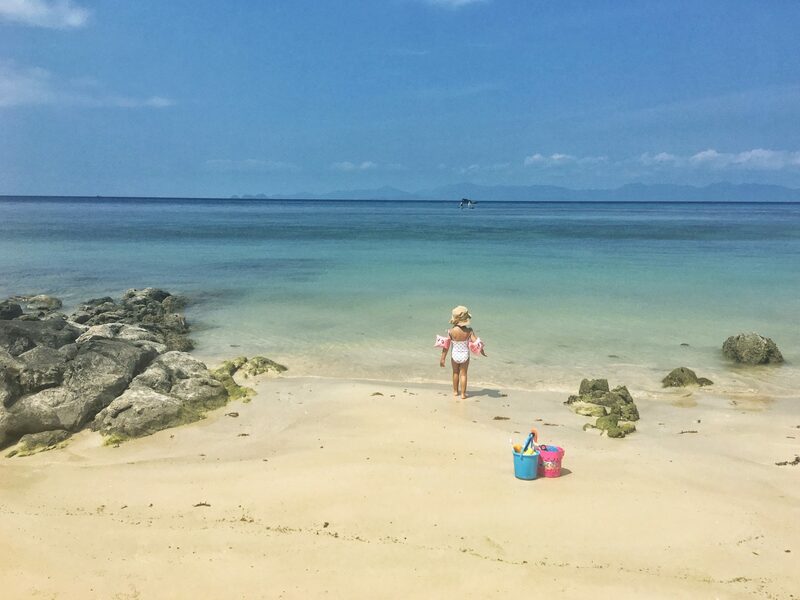 Our villa was suitable for families with small children with a decadent and large master bedroom and a snug and baby proofed room just off the bathroom, perfect if you want privacy but still have your kids nearby. 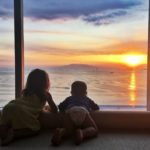 The luxurious bathroom incorporated a deep and indulgent bath and plenty of light and space for the whole family. 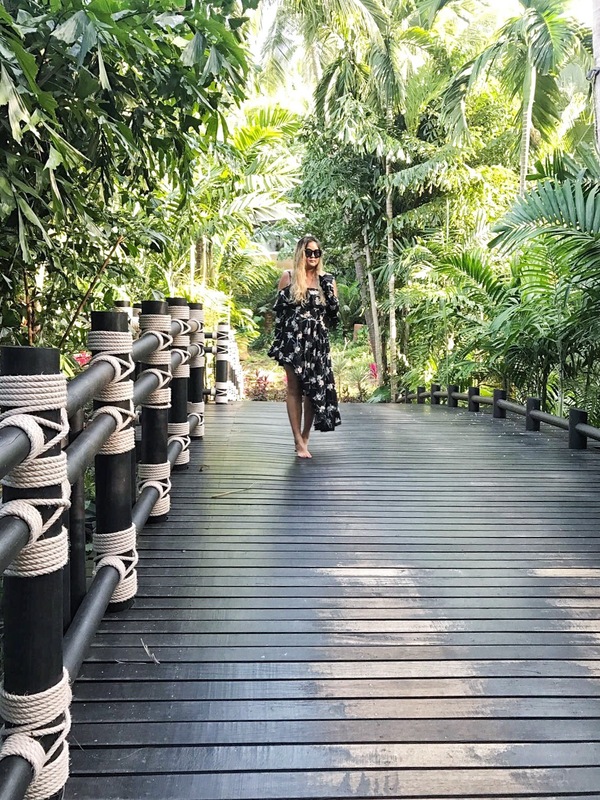 Our refreshing pool overlooked the vibrant green garden and had ultimate privacy from the rest of the resort. 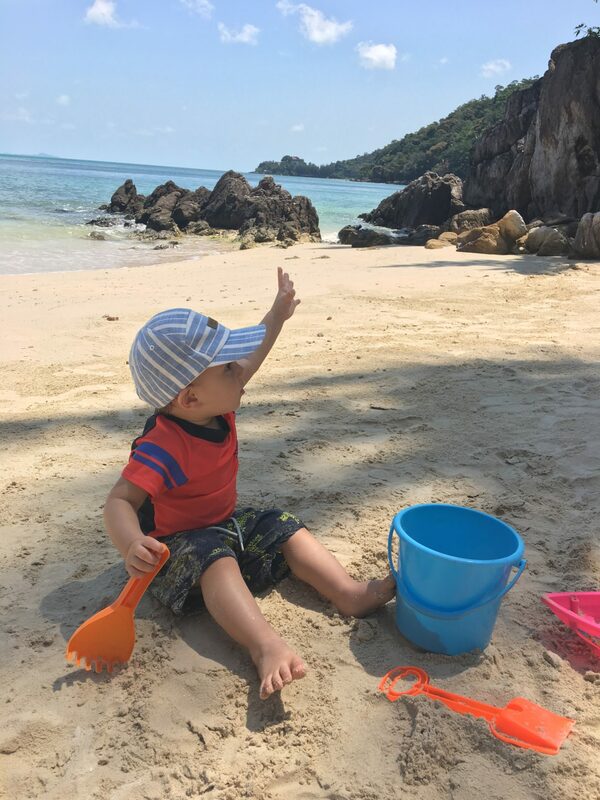 Only a few steps away was the well equipped and friendly kids club and the luxurious beach complete with attentive service, clear waters, and plenty of sandy nooks for the kids to enjoy. 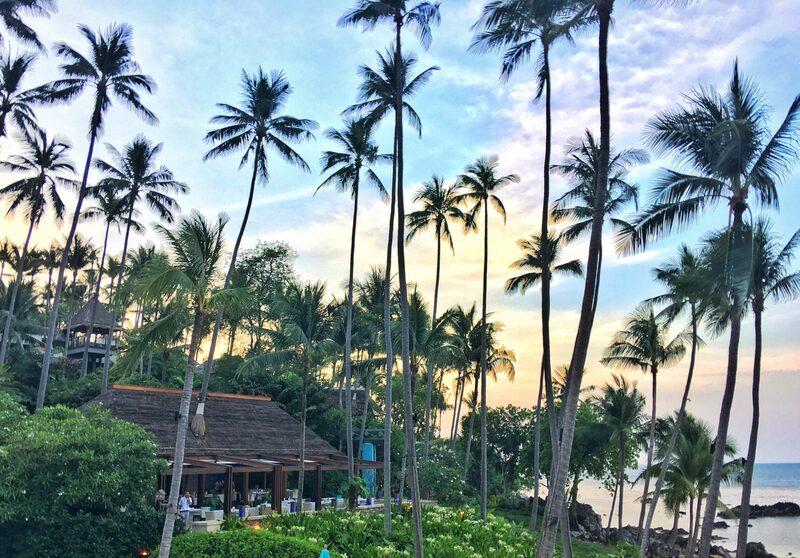 After full days of sun and sand, Dan and I indulged in tranquil treatments at the spa and tropical cocktails and sunset gazing at Cocorum. 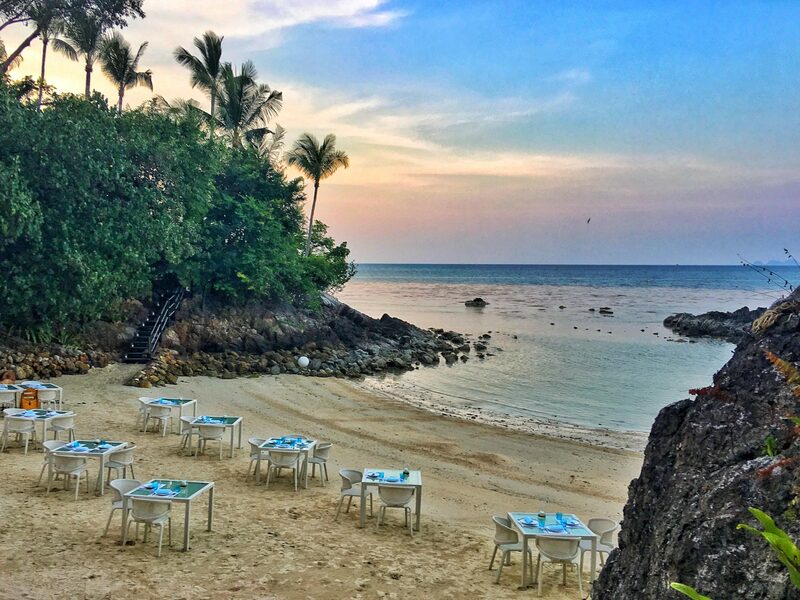 Their dining experiences are a must do while you are in Koh Samui even if you are not staying at the resort. 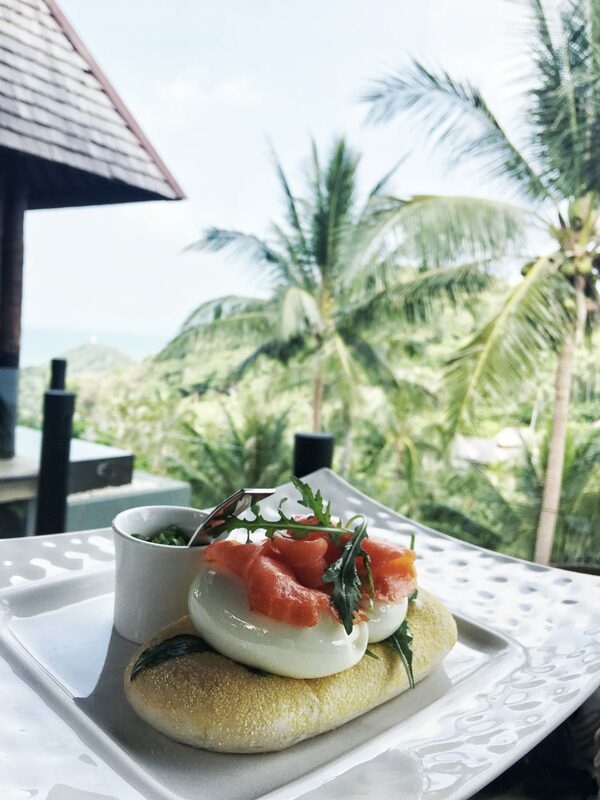 We loved the delicate and decadent dining at Pla Pla and their elevated Thai cuisine at Koh. 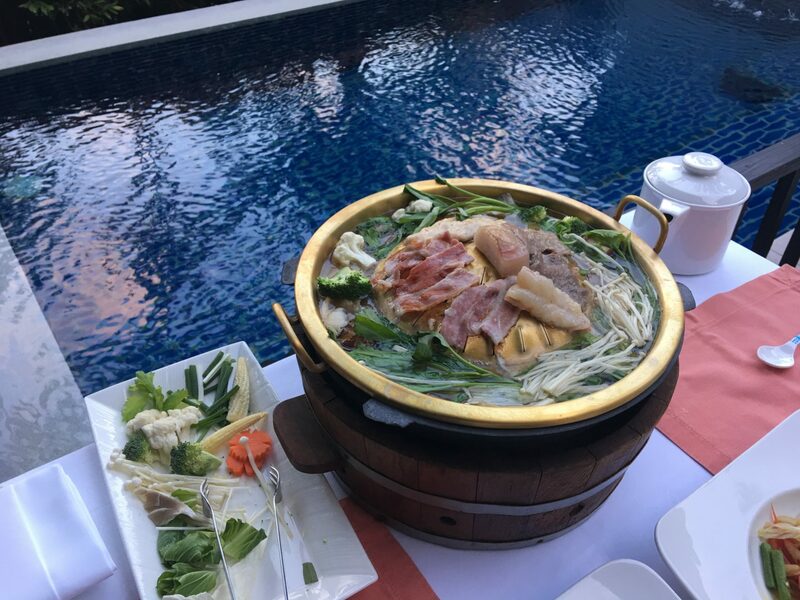 For relaxed family meals, the In Villa BBQ is perfect with fresh fare and a great set up for children. 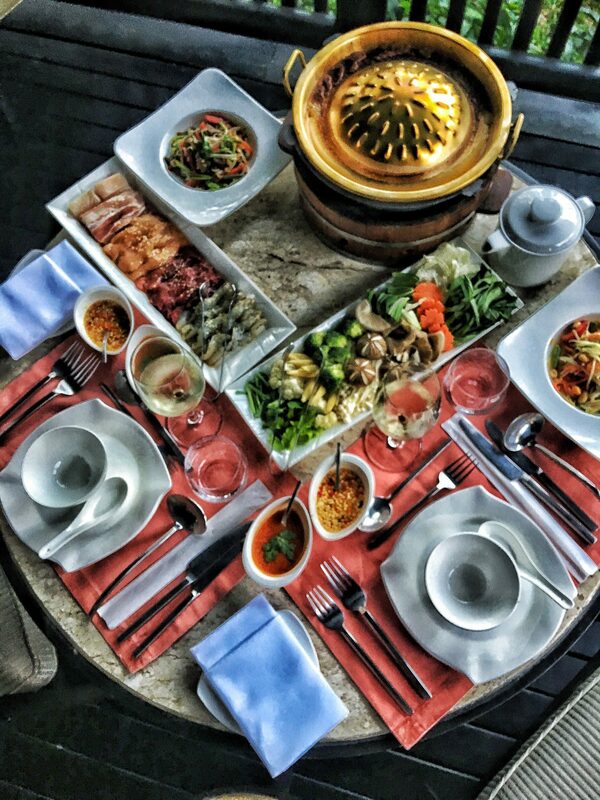 Don’t miss getting recommendations from their extremely talented sommelier who can help you expertly pair your meal with the best wine no matter where you are dining. 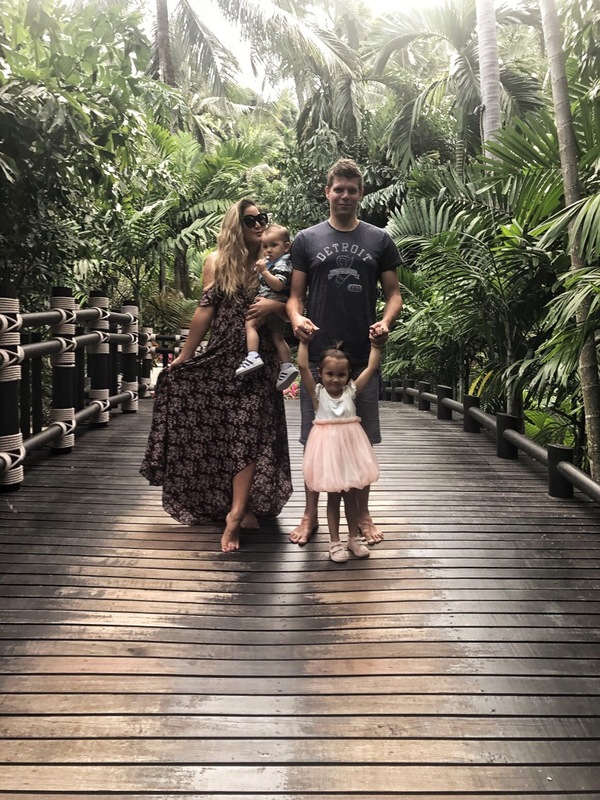 A truly magical experience for our little family of four in paradise, and somewhere we would return again and again.